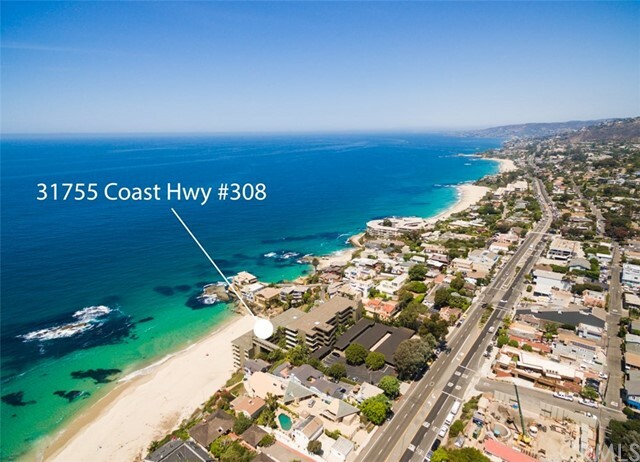 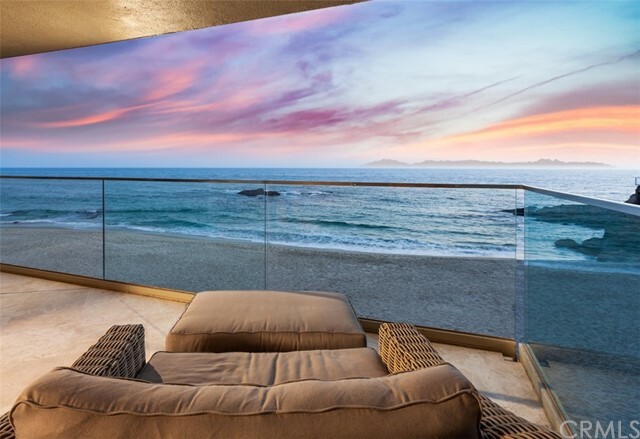 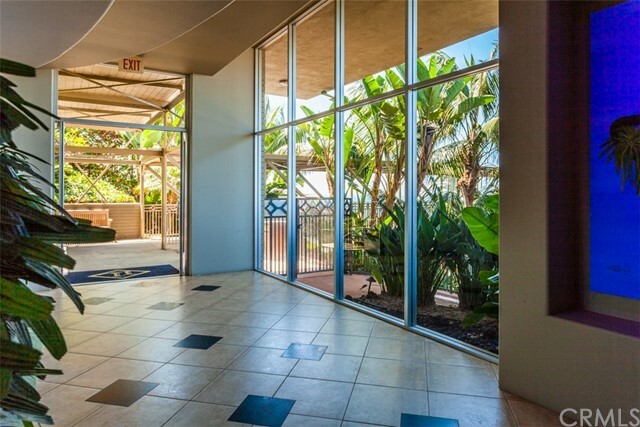 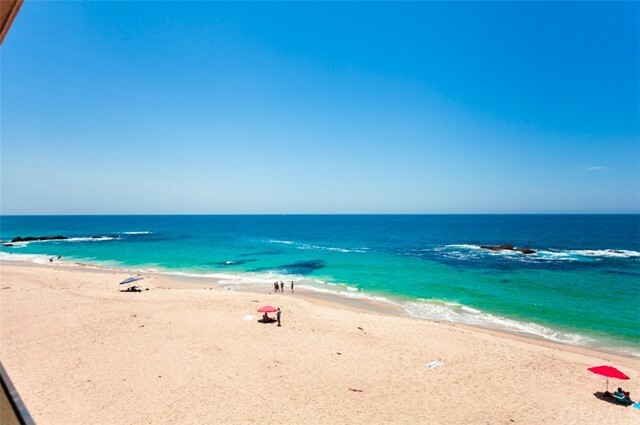 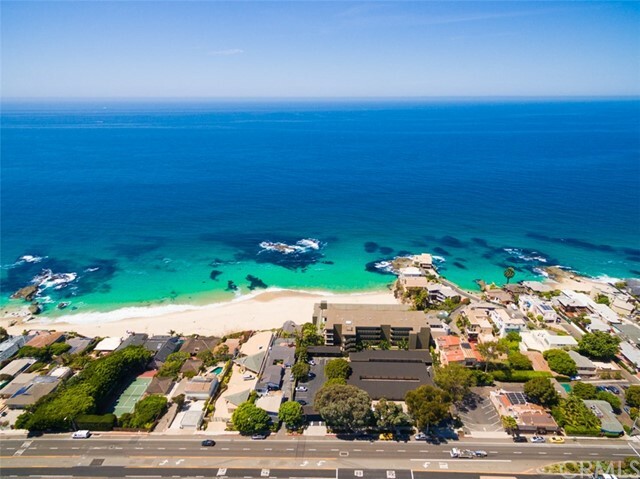 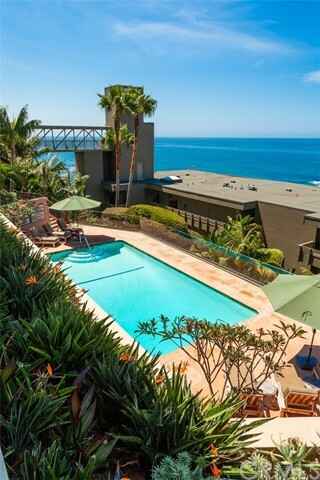 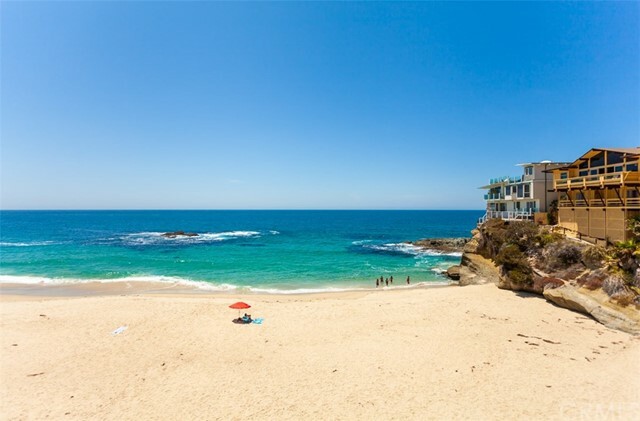 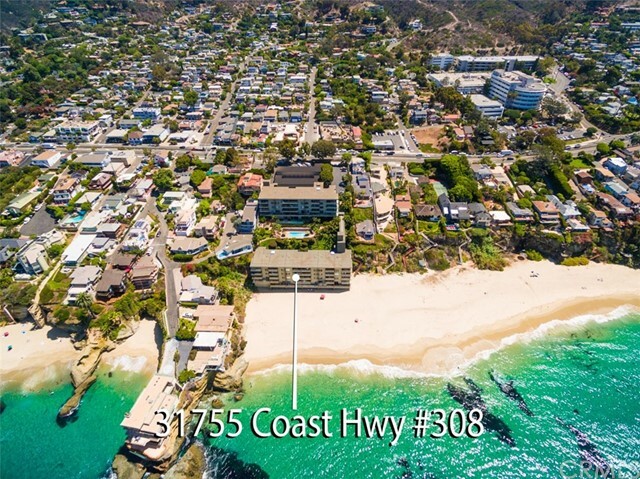 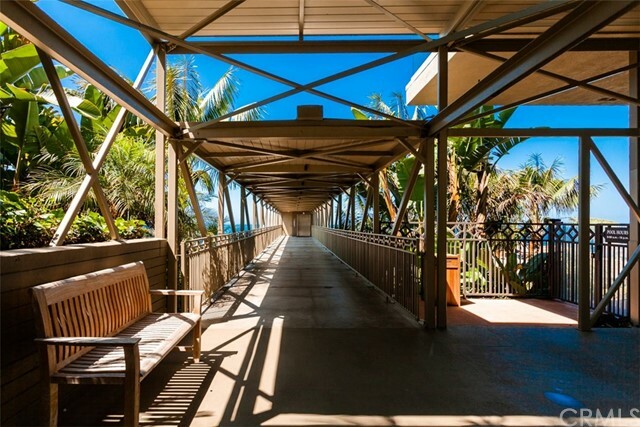 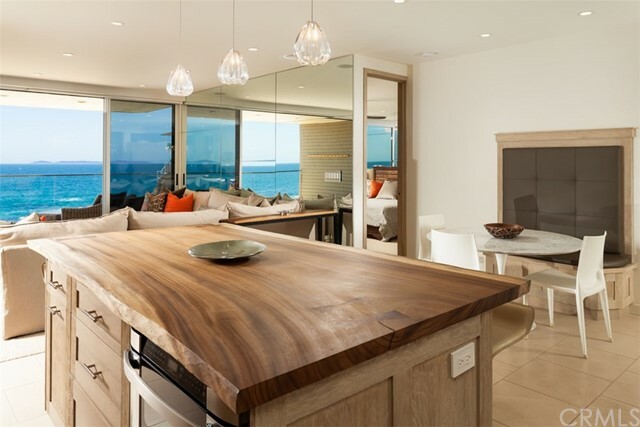 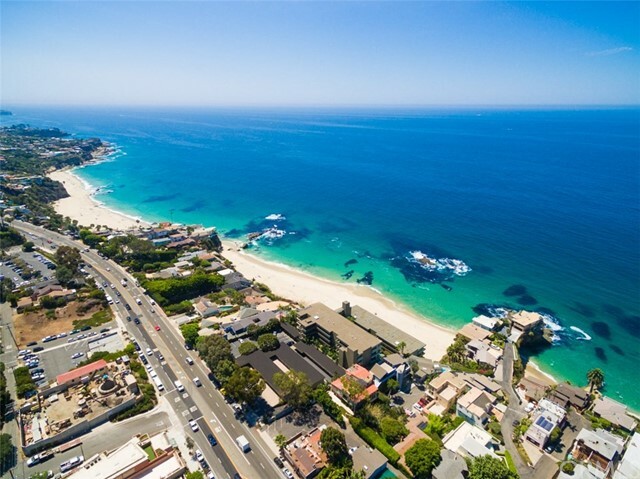 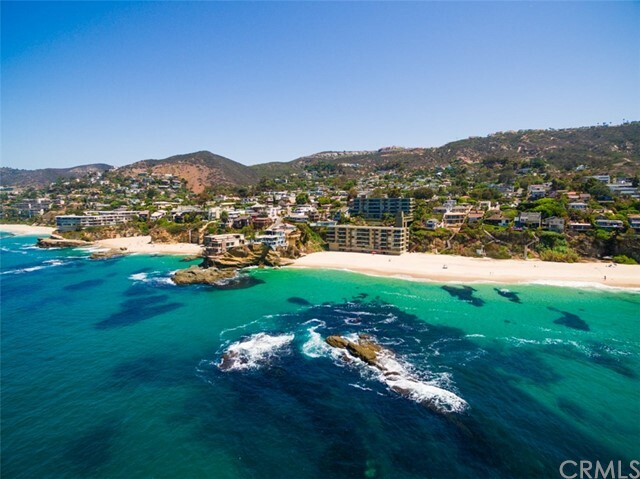 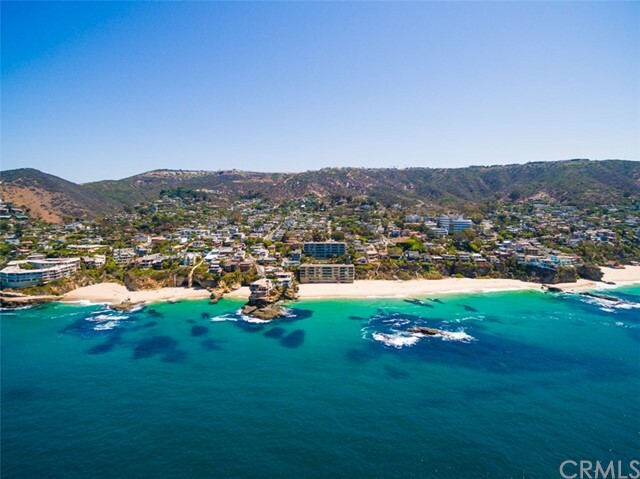 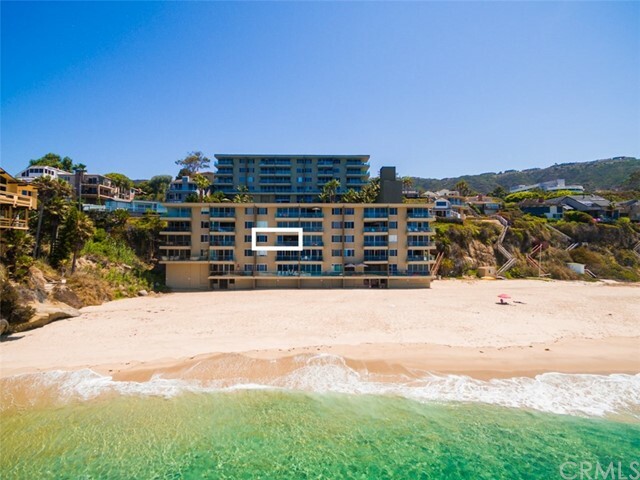 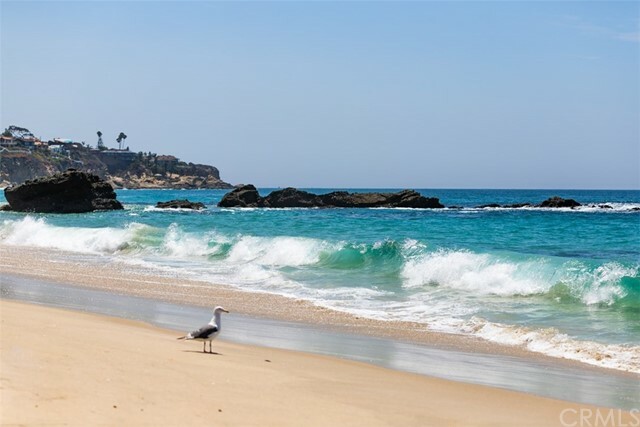 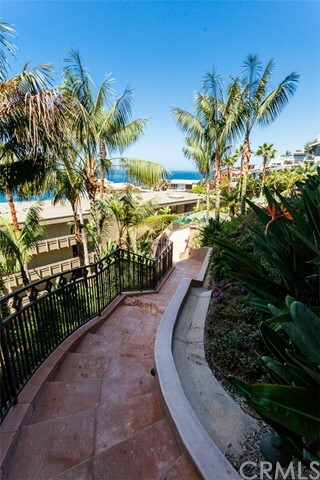 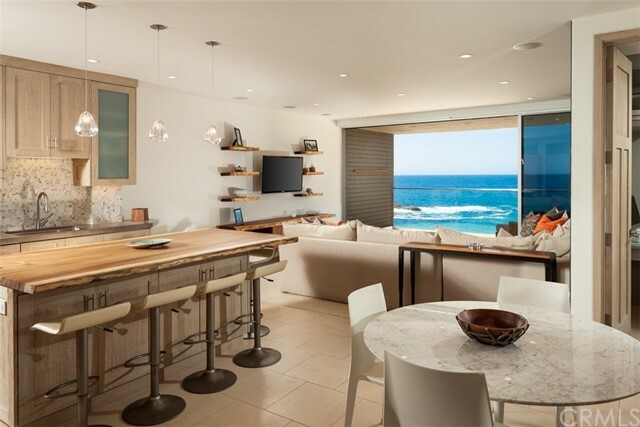 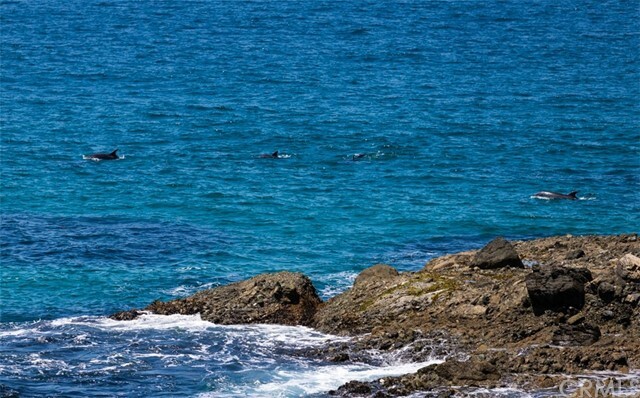 Chic, airy and virtually carefree, this completely remodeled oceanfront condo in Laguna Beach offers incomparable views. 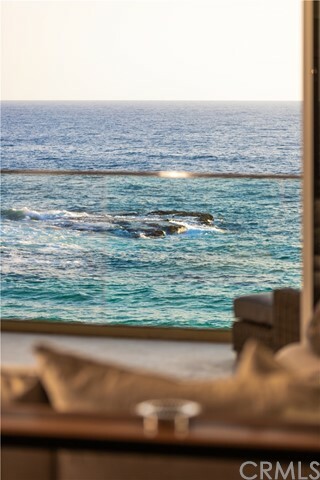 The only thing between you and the ocean is the fresh sea breeze, as the luxe residence is located directly above the beach at the sought-after Laguna Lido on Totuava Cove. 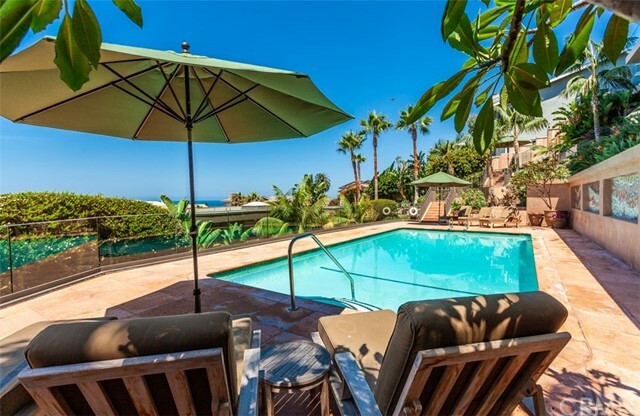 Relax or dine on the spacious deck and take in vistas of Catalina, sunsets, towering bluffs, surfers on the sand just beneath you, and waves breaking over dramatic rock formations. 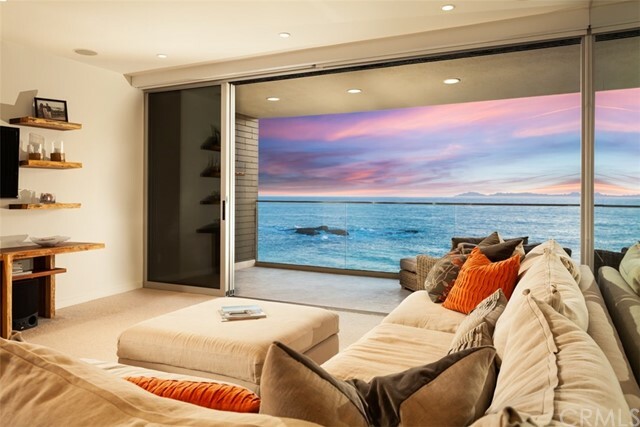 Floor-to-ceiling slide-away doors welcome views into the main living area of the home, which encompasses an open living room, dining room and kitchen in one inviting space. 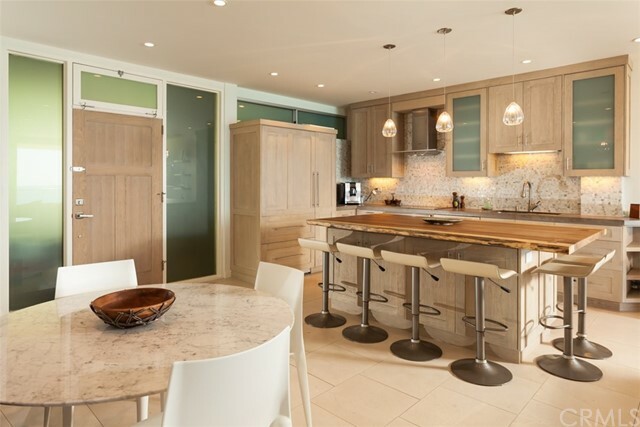 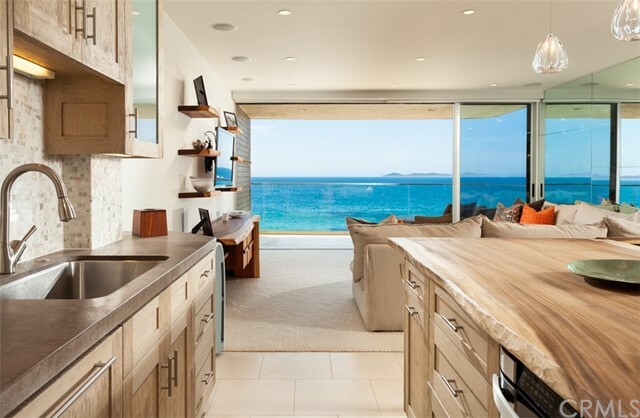 A large island with custom wood top anchors the kitchen area, where meal prep and socializing are complemented by pendant lighting, custom cabinetry, tile flooring, stone countertops, full backsplash, a pantry, Sub-Zero refrigerator and a Bosch microwave and range. 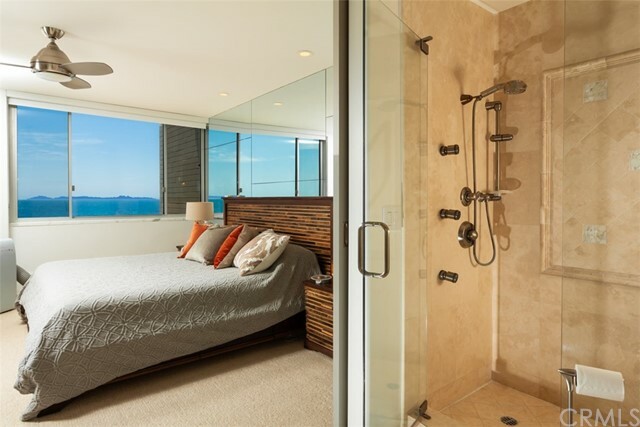 Two ensuite baths are featured in the one-level design of approx. 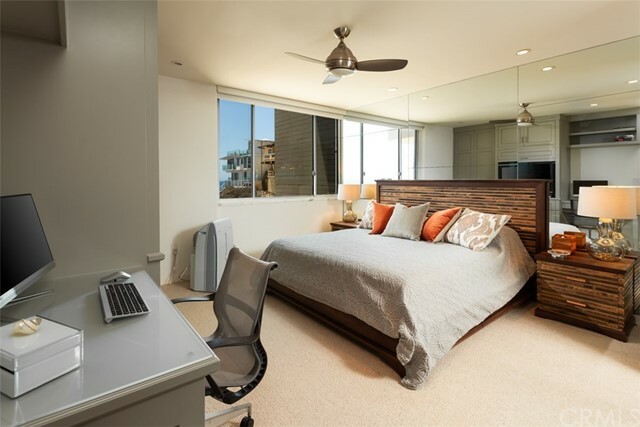 1,028 s.f. 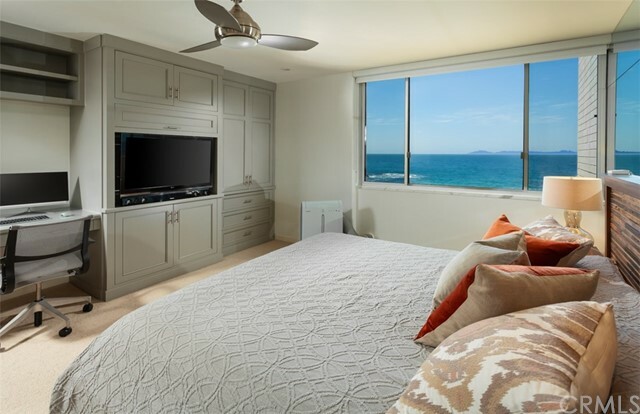 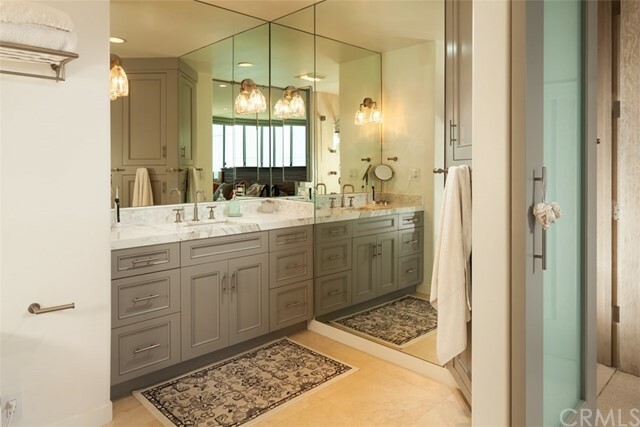 Both display built-in cabinetry and entertainment centers, and the ocean-view master suite reveals a bath with marble countertop, multi-head shower and contemporary sliding barn doors. 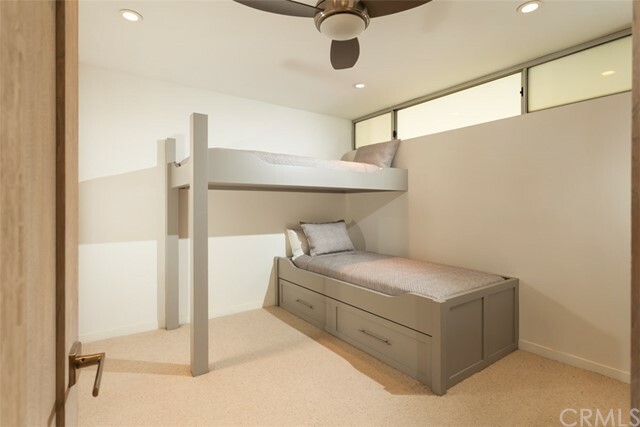 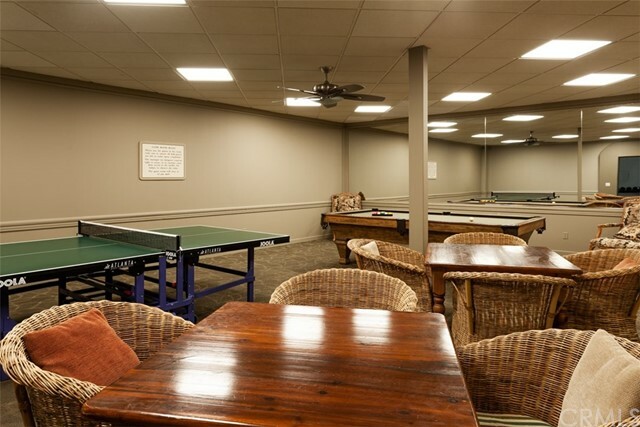 Recessed lighting, mirrored walls, Lutron lighting and designer carpet accentuate select rooms, and an enclosed 1-car garage is included. 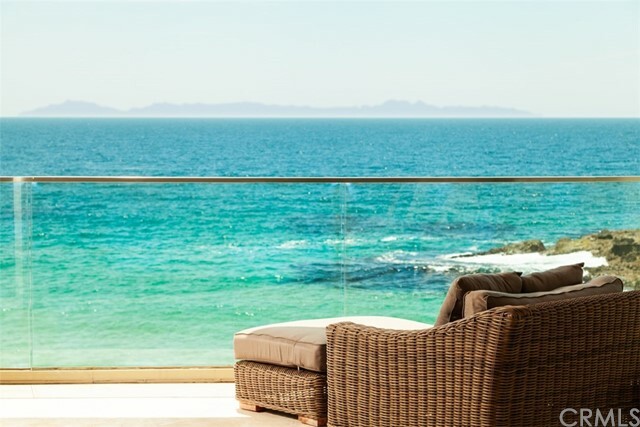 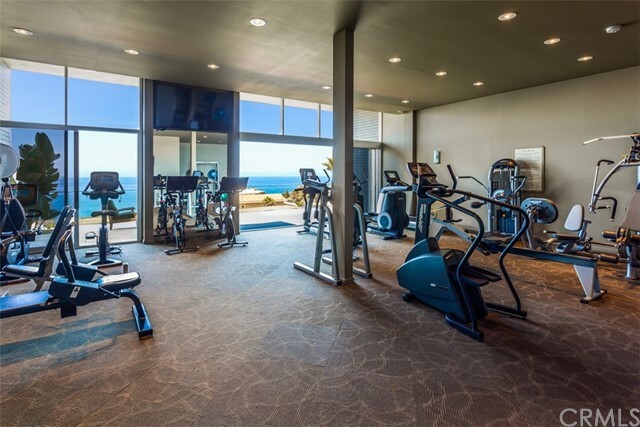 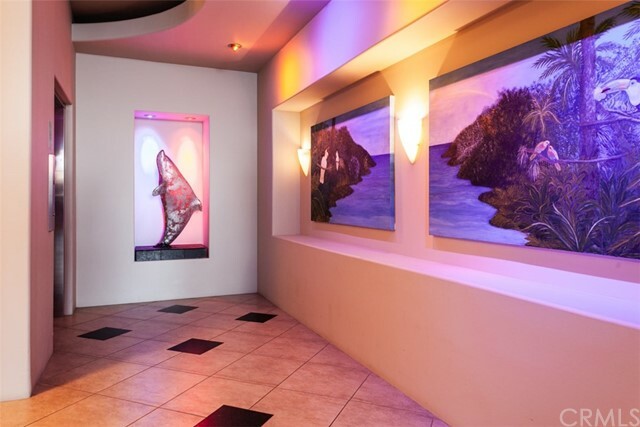 Laguna Lido offers a preferred lifestyle that is enhanced with an ocean-view resort pool, private gym, sauna, security, a game room, and direct access to the secluded beach.